March 19, 2011 March 19, 2011 Diana B. 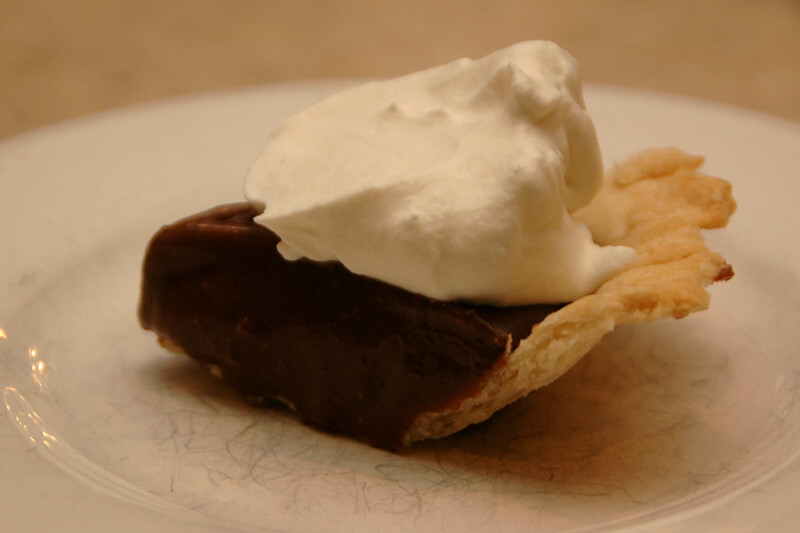 The series on my mama’s favorite chocolate recipes continues with this delicious chocolate pie. WARNING: This pie sets the standard and will ruin you! No store-bought pie or restaurant pie has ever even come close to matching this one. Begin warming milk and chocolate squares in a large pot on the stove top, medium heat. Mix cornstarch and sugar and salt together in a small bowl and then add to the milk. Stir well. Add beaten eggs yolks. (I usually spoon out some of the warm milk mixture to add the beaten eggs before pouring the eggs into the saucepan. This warms them up slowly and prevents lumps.) 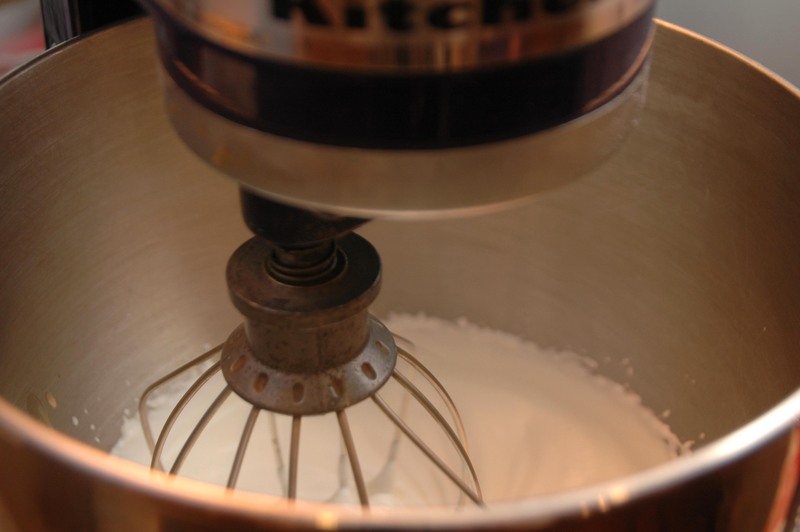 Whisk mixture constantly and cook until thick. Remove from heat. Add vanilla and butter. Pour into pie shell. Allow to cool completely and then cover and refrigerate for several hours before serving. Serve with whipped cream on top. Combine dry ingredients and use pastry cutter to blend. Add water and use fork to blend. 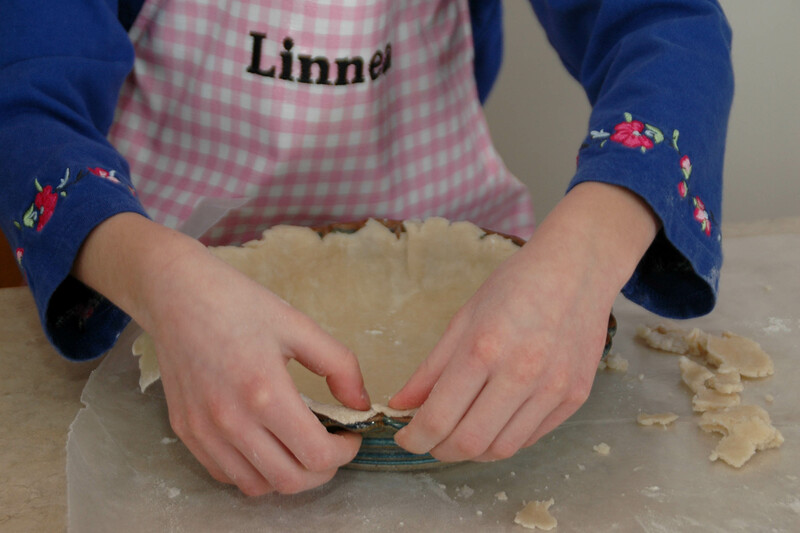 Form a ball of dough with hands; roll out on lightly floured sheets of wax paper. Makes a pie shell and top. (You won’t need a top for the chocolate pie, so there will be some dough leftover.) Use a fork to prick holes in the crust and prevent air bubbles. Bake the pie shell at 450 degrees F for 10 to 12 minutes. In a chilled bowl, combine whipping cream, sugar and vanilla. Beat with chilled beaters of an electric mixer on medium speed until soft peaks form. Serve with pie. Makes 2 cups. 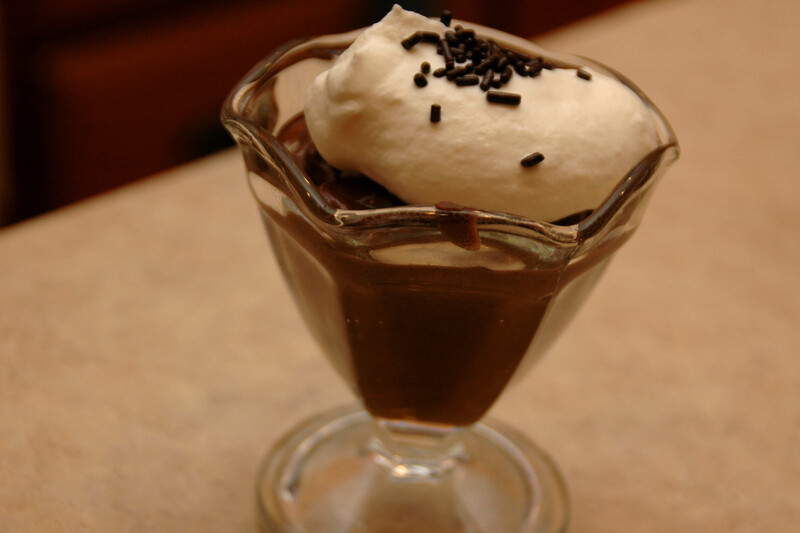 Alternative: Skip the crust altogether and just serve up the chocolate pudding in individual dishes. Top with whipped cream and chocolate sprinkles or chocolate shavings for extra flair. A perfect reason to continue not meeting my news years resolutions.